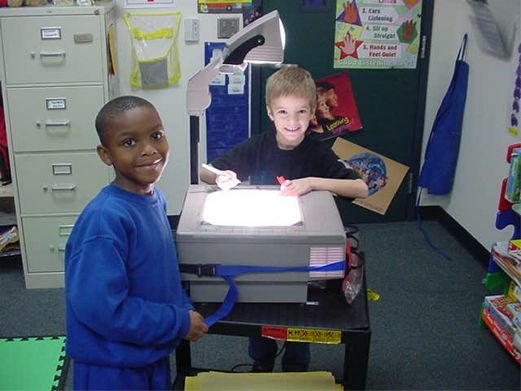 learning how to use an overhead projector--turning it on and off, adjusting the focus, etc. learning to manipulate objects to display on the screen. becoming familiar with different manipulatives such as letter tiles, number tiles, shapes, etc., and working with them on the overhead projector surface area. developing hand-eye coordination and fine motor skills. practicing writing and reading on a different surface which helps to create variation in my learning process. 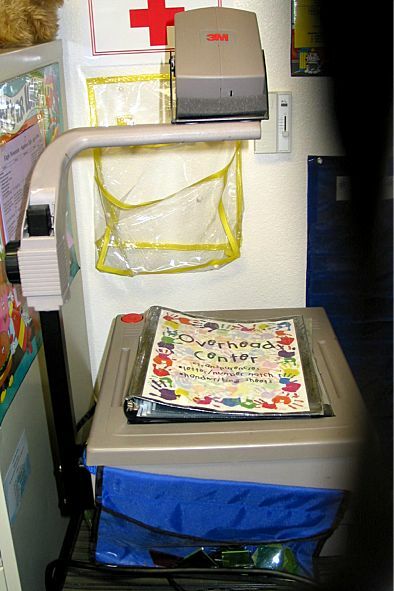 using a different type of technology to enhance learning.